In my opinion, Josh Pelissero has become one of the most successful domain investors / domain flippers in the last several years. Josh secured many top domain names and has been able to successfully re-sell them profitably, often within days of his acquisitions. He’s an interesting guy, and I think you’ll enjoy reading about him and get some solid insight from his interview answers. Most people are a little taken aback to learn I never owned a computer until after I started domaining. It’s true, my girlfriend at the time (now my wife) owned an older Pentium II, I believe (which I later paid her parents $200 for and this was in 2005. So that may have been my worst investment lol). While visiting her at her parent’s home, I would take a few moments to learn what the internet was all about. I had zero knowledge of computers. The one skill I always had is a nose for business– God given because to tell the truth I hated school, it bored me. I was lucky enough while growing up to have several family members around me who owned businesses. Most summers and free days were spent working with them and learning to buy, sell, trade and all around hustle. By the time I was a young teen my uncle opened an account for me to trade stocks. We did quite well, but then again who didn’t. Clinton was in office and I always did my homework. I earned my real estate license as soon as I was old enough and have it to this day (11 years now). It was crucial in preparing me for domaining. I learned what it meant to spin your wheels, get rejected and pound the pavement. It wasn’t until I was watching the first Godaddy Superbowl commercial that I even heard the term “domain name”. I was clueless, in fact I did two things on my girlfriend’s computer: one car forum and eBay. Who knew a whole world existed beyond that! I was curious and immediately went to that old P2 and started looking into what exactly a domain name was. Within weeks I knew exactly what they were and eventually how to buy and sell thanks to a few domain forums. I had a small learning curve of $800, all new reg’s, all expired the next year. My first handful of transfers was exciting, frustrating and one of those learn as you go moments. Since that time I have consistently traded in 7 figures a year, from LL to NN, incredible generics and everything in between. My first “big” buy was literally $500.00 in 2005, I had no idea what that would lead to, in fact I was happy with the extra pocket money when I sold it for $XXXX profit, I took the girlfriend out for steak! It is absolutely amazing at what you can accomplish with an email, phone and thick skin. EJS: Do you think someone could become a successful domain investor if they started today? What advice would you give them to succeed? JP: I believe anything is possible with enough hard work and knowledge. In saying that I do believe it is a more difficult time in our industry to see success if you’re just starting, take reselling, for example. I feel fortunate to have started when I did which still was not early mind you. Yet I found many avenues and opportunities that have become harder to come by today. My advice in terms of what could help launch a new investor is to pick a niche to start. For me it was acronyms, the easiest to value and always in demand on the reseller market. I remember some of my earlier buys of LLL .com and .net, I studied and read like crazy knowing the market would support X for any given LLL. So any name I bought for less was like money in the bank, and the market values were only rising. Through hard work and knowledge, I cannot tell you how many people I have contacted, be it via email, phone, fax or mail and some multiple times. It is not an industry for those easily discouraged, try try again. Success rates when looking to buy are VERY low but scoring a name pays well enough to persevere. Some of the most vital tools I have used include whois history, dnjournal, clickmojo any number of people search websites and a hidden gem dnsaleprice.com. I have made a very good living at finding people, you have to be willing to go that extra mile for what you want and I scored many times because for all the other domainers out there, no one else went the extra mile on that name! I have seen far too many new investors spend large sums and end up becoming stuck, perishing for a lack of knowledge. EJS: How has the domain industry changed since you started investing in domain names? JP: The last nearly 7 years has flown by, I honestly do not pursue several avenues that I once did because frankly the opportunities in my opinion have virtually dried up and the competition priced me out of my comfort level. I no longer am heavy in drops. I no longer contact most pending delete names because most times for the better names the owner has been contacted already and given an uneducated offer over market value leaving no margin. This was a fantastic route I took for years, I am sad to say it is a rare occasion now if that works for anyone and leaves any type of margin. I have come to enjoy reading the many blogs and domain news sites out there. When I started there was just Dnjournal which I still love. I owe Ron a huge thank you for doing what he has. It was because of Ron’s work on a sales report I had comparables and could get a feel for values in general each week. It also gave me insight into what type(s) of name(s) would see temporary increases in value among resellers. The industry also continues to offer different and in some cases better ways to monetize your names that we didn’t have just 1 year ago. It is nice to see this evolve. Overall, I would say most changes have been for the good. EJS: Domain theft is a major problem. Can you share some insight into how you’ve helped domain owners recover domain names in the past? JP: Just to give a little background into why domain theft is an important issue for me you’d have to know my first “big” LL.net purchase ended up being stolen back from me. That lead to domain lawyer John Berryhill recommending Zak Muscovitch to me since I am located in Canada. After a successful venture to recover the name I found myself wanting to help others recover their name(s). I would like to add that the two men mentioned above are in my opinion the very best of the best in their field. Some of my earliest recoveries were actually (and now when looking back) unbelievable. For example, I discovered several LLL dot com domains were stolen while looking to buy one. I contacted the owner and I said I was happy to help. Here is the best part, I simply put a small outline of events together and made a presentation to the head of Godaddy legal regarding theft. She was a wonderful woman and returned all the names in no time. That led to the recovery of many dozens of names for many domainers and non-domainers over the years. As long as someone needs help, is willing to tell the whole story and has enough of a case, I will go to bat for them from LL to LLLL. The sad part and perhaps one of the changes in the industry for the worst is the lack of community that you find at a registrar now. They have either sold out, employees move on, expanded or become unapproachable. I could go on and on and tell many stories but the bottom line is it has been one of the most feel good moments of my career and earned me a gift basket or 2. EJS: What type of due diligence do you do when you purchase a domain name to ensure it’s owned and being sold by the rightful party? What tools do you use to do this? JP: Having had the pleasure of picking Zak Muscovitch`s brain a bit I have come to be sure I ONLY purchase the domain name from the registrant. It is crucial to realize the administrator is NOT necessarily the rightful owner. I think this is where some may get in trouble. As domainers we generally contact the admin; so the potential for a problem to arise is very probable. Even if the address and phone match the registrants you may just be talking to an employee. In order to ensure I am contacting the rightful owner I will first use the whois history to look for a nice steady pattern of matching information. It is not always the case of course but most good older names have been owned for years and years by the same people. Look for unusual email, address, phone or dns changes. All can be red flags, again not always but I have caught many thieves this way. Once I feel comfortable at that level I will do a background check on the company to ensure the individual who claims to be the rightful owner or the company president, is legally listed as such. Again, I cannot stress enough when buying from a company, be sure it is a person who has the power to complete a transaction. In some cases if the amount justifies it I will do a background check on an individual as well. I may go the extra mile but better safe than sorry. One case involved a situation where the seller stated the name is her’s now and that her husband passed on. However, the whois still showed her husband’s name. I did two things, requested a declaration from her lawyer stating she was now the rightful owner and I did a people search to find a death certificate, thus confirming she was telling the truth. As for payment I like to use escrow.com and have never had a problem with them. Their support is terrific and after many transactions they aim to please every time. I have been fortunate enough to do steady business with many other domainers over the years and a simple bank wire is good enough, after all an element of trust will always be involved. EJS: What are your thoughts for the domain industry in the future? JP: The future of our industry, it has been on my mind as of late and how strong I feel about furthering large investments in domains at the present time. My gut and experience to this point has rarely failed me and afforded my wife and I a great life. As we all know there are many paths to take when looking at investing in domains, from buying and selling to offering solutions, seeking end users, development, consulting and right on up to registrars. My opinions are general in nature as I feel the future of the world’s economy will affect most facets the same. It has been said that domains are as good or better than gold. While I cannot argue that great domains have in a lot of cases offered greater returns, I cannot ignore what gold actually is and its intended purpose versus domains. Should the world’s economy collapse we will not look to go to a domain standard again as a possible solution. I guess that best sums up my feeling on how I feel about the comparison. To spell it out for you…domains like any other asset are potentially worth as much as the paper we print our money on. Whereas gold has ALWAYS held its buying power and still will after domains. I am not saying domains will disappear. Certainly not! What I am saying is they can see a deep dark time just like anything else. I cannot help but look around today and see a world in great financial trouble, enough worry that a greater depression is now a very strong possibility. That directly affects how I invest for my future. I have also heard it said that domains are recession proof. We all felt the impact on market values since 2008 and would have to admit they are not. We can always give examples that are exceptions but, since 2008 there has been a downward trend over all. Remember the days prior to 2008 when a decent two word dot com combo at auction brought $15k like nothing? I believe when it arrives this economic slump will last for several years if not decades. This is not a slow down, correction or buying opportunity in my opinion. We need to be very cautious at how we set ourselves up. It is time to focus on those industries and niches we feel will pull through a depression and those industries which still make sense online and offline. What I am saying basically is the days of investing in any random one word dot com or acronym to see a fairly quick buck are slowly coming to an end. The ” hey it’s brandable” logic will fizzle. Sure there will always be exceptions to the rule and if you can afford to take the risk, all the best. But again my opinion is in general. We are not there yet but I see a shift taking place, once in a deep depression the novice domainer, ad dollars and end users will melt away at a rate that will make 2008 look like a picnic. Will there still be money to be made and will certain branches of domains be worth investing in? Sure, but over all we will suffer like any other industry because we forget that we need those industries, without them what is a domain worth? I hate to have such an unhappy message at the end of this interview but feel for the most part there are a lot of us who live good lives, have beautiful families, money in the bank, a few domains and no worry about what we will eat tonight.What we do not see is there are more people out there who do not have the blessings we do and ultimately our countries are totally insolvent. To steal a line from ole Willie, “Turn out the lights the party’s over”. I will not get into who is to blame, crooked banksters or how I would solve it. I will simply ask everyone to do their best to secure their families future before securing a domain name. Now is not the time to extend yourself. 5 With… Donald Williams, Jr. If you’re a participant on a domain forum like DN Forum or Domain Boardroom, it’s very likely you’ve heard of or interacted with Donald Williams, Jr, better known as Biggie on DBR or Biggedon on DNF. Don started investing in domain names in 2002, and the first domain name he sold was EquityManagers.com, which he sold on DNF. That first sale, the first profit he made, started the fire to continue investing in domain names. Other past sales include: 100calorie.com, JK.net, QE.org, ShopNames.com, IllinoisAutoInsurance.com, among others, and a recent auction of InsuranceChicago.com at sedo. 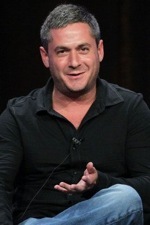 In his time in the domain space, Don served as a moderator on DN Forum from 2003 – 2009. Although Don and I don’t always agree on certain topics, I have a considerable amount of respect for his opinions and insight. I had the opportunity to ask Don some domain questions, and I hope his answers can benefit you. ES: When did you begin investing in domain names and what got you started? DW: I regged my first domain in 2002 and I got started in domains while doing some research for a coworker. She was interested in one of those “make money online catalog” websites she heard about and asked me to see how legit it was. ‘domainnameforum.co.uk’ came up somehow while searching for those keywords above and once I started reading about domain reselling, I jumped in. ES: How has the domain “industry” changed since you’ve been involved and how has your business model evolved? DW: I think domaining has changed from becoming a niche’ hustle for a small minority, to a full-fledged “industry”. One that has spun-off other profitable business models that lend support and encourage further investing in domains. Some of those models include the dropcatching and backorder services, auction platforms, news services, blogs and aggregators, stat finders and whois history services. When I started, there was only DNJournal to report domain news, Snapnames/Snapcheck, Clickmojo, NameWinner, and later ClubDrop to catch expiring names and of course the all mighty Overture. So in that respect a lot has changed. My biz model hasn’t changed too much from what I was doing the first few years in this biz. Although I bought a few LLL.com’s in my newbies years, I switched strategy and started investing in “domains with traffic that produced revenue” by using the Overture.com suggestion tool. I wanted to build a portfolio of domains that would pay for themselves overtime, as well as provide income for further investments. That still is my basic business strategy. ES: What piece(s) of advice would you give to someone who wants to start investing in domain names? DW: The best advice I think I can ever give to a new investor, is to “READ”. I’ve always encouraged new users on forums to read the “Domains for Sale and Domains Wanted” threads. I think one could get a quick grasp on how the biz works if they view what domainers are trying to sell and at what price/range they are expecting, while the “domains wanted threads” indicate what type of domains buyers are looking for and what budget they have to purchase. One has to have some idea of both sides of this biz to succeed, because if you expect to be profitable, you’ll have to know how to be the seller and the buyer. ES: How do you think gTLDs will change domain investing and what’s your take on them? DW: I think newbies will invest the most in gtlds because that space will be a new frontier. If they have no attachments to .com and no knowledge of what sells and what doesn’t, then they will be most likely to make the wrong investment choices. I think gtlds will be more of a problem for mainstream businesses as they may have to defend their brands by being forced to register unwanted extensions. there is already an issue brewing in that regards by a major “Retail” association. Though I probably wouldn’t recommend investing in them, I do know for sure that some domainers will always find a way to profit from tld expansionism. ES: What are your three favorite domain tools to use and why? DW: As for tools, my fav’s are “the daily newspaper”, though one may not consider it a tool, I’ve found so many leads to names that turned a profit, just from reading newspapers. Overture used to be everyone’s favorite tool, but you know the deal on that. I am not one to buy scripts or software to run programs that generate lots of data. I like free tools, which also lowers overhead expenses… so I use Snapnames, NameJet and Pool to generate domain lists then I leisurely check a group of keywords, based on that day’s subject of interest and hopefully find a gem or two that will pay off later. One way in which I do my marketing for DogWalker.com is handing out magnets with the brand logo on them. I purchase my magnets from Magnets.com, and it is likely because of the domain name that I initially chose to do business with the company a couple of years ago. Magnets.com was originally founded in 1997, moving from a traditional promotional product model to a growth oriented, enterprise level Web enabled one. The company has seen tremendous growth, including a 35% growth rate from 2009 to 2010. The company recently acquired CustomizedStickers.com, and coupled with its growth, this had led to a threefold increase in staff in a year. The company has also been awarded a number of local and industry accolades. Erwin Metius is the President of Magnets.com and CustomizedStickers.com, and he was nice enough to reply to my request for an interview, which I believe you will find very interesting. Feel free to post any questions you may have. ES: When was Magnets.com acquired, how much did the domain name cost, and how was it acquired (hand registered, private sale, auction…etc). EM: The domain and business Magnets.com was launched in 1997. We acquired the domain, business, and all its entities from the Torrance, CA based owners in a 2005 private sale for an undisclosed sum. ES: How does owning the category defining Magnets.com help the company in terms of marketing, consumer awareness, and trust? EM: The domain has provided numerous quantitative and qualitative advantages for the business. For example, from an online marketing standpoint the domain name (and its long history) helps our organic ranking across both short and long tail KWs alike. As ranking well certainly doesn’t occur on its own, even with a strong domain, we have invested heavily in SEO as the majority of new customers learn about and order via organic searches. From an awareness and even memory standpoint the domain helps tremendously -a large number of orders come from direct traffic, both repeat and more surprisingly new customers, with the latter being much higher compared to our other domains listed below. ES: Does the company purchase longer tail domain names to help with SEO – such as CustomMagnets.com, BusinessMagnets.com…etc? Does it own or operate complementary domain names? If so, how does the company go about its acquisitions? EM: We do have a few other magnet related domains (www.MediaMagnetics.com, www.ResellerMagnets.com, and the newly relaunched www.AmericanBusinessCardMagnets.com) not exclusively for SEO purposes but rather as part of our strategic plan to create dynamic microsites that ultimately will point to and act as a supplement to the primary Web site (Magnets.com). Certainly not identical, but similar to DrugStore.com and their numerous microsites. From an acquisition standpoint, and this certainly holds true with our newly acquired sister site www.CustomizedStickers.com, we evaluate numerous data points including but not limited to the company’s revenue, overall market size, client portrait, SEO and ranking data, Web technologies, and how well the new business fits within our portfolio. Looking at Customized Stickers through a Magnets.com lens, the business and production methodologies certainly fit together, the customers not identical but a nice extension of where we were looking to grow, and the SEO and other marketing areas strongly align with what we’ve done successfully with Magnets.com. ES: What has your experience been like with search engines with Magnets.com? EM: Being an online business with strong visibility, we are –for better or worse- at the mercy of the major search engines and their constant tweaking. As a whole, they have been a huge asset to the business, giving us a tremendous amount of not just national but worldwide visibility across many of their offerings. Of course, we have and will continue to invest in SEO, implementing best practices (including rich snippets) to not only maintain but grow our visibility. ES: What are some of the challenges of owning a name like Magnets.com rather than a unique brand? EM: Another advantage, the domain is our brand, succinctly detailing what exactly it is we do, what we’re about, and who we are. Accordingly we use it to our benefit. From a challenge standpoint, the Web site -not surprisingly- receives a large amount of traffic from the organic KW ‘magnets’, but it’s far from our highest converting KW. Trying to understand the ‘why’ we developed and fielded a comprehensive survey which showed that while these visitors were indeed searching and planning to buy magnets, they were looking for magnets that we didn’t sell –mainly industrial magnets, rare earth magnets, jewelry magnets, and health magnets (such as bracelets). This opens a potential opportunity to be all things magnets related. However, the huge challenge is how to market across a wide variety of highly divergent verticals and buyers and avoid alienating current customers. Thank you to Mr. Metius for taking the time to answer my questions! One of the reasons I like to use Parked.com for almost all of my undeveloped domain names is that I can have a nice “domain for sale” message at the top of the page. On BoracayHotels.com alone, I’ve received 4 offers in the last 3 weeks, and for that reason alone, having the link is beneficial. On some of my domain names that make very little revenue but receive traffic, I have been thinking about not parking them, and instead, I would put a domain for sale landing page. This would require hosting, but if you get an inexpensive VPS that costs under $50 a month, you can host all of your domain names you want to sell. Heck, you can probably get even cheaper hosting on a per domain basis at some hosting companies. Some registrars like Go Daddy offer a free hosting option, but you will have a hosting company banner on the site. I believe the key elements on a good landing page are the domain name, a contact form or your phone number, perhaps some sales points, and possibly the price (I don’t like listing a price). People who don’t know about the Whois database (many end users) may search to see if a domain name is available simply by visiting it. If you make it clear that your domain name is available, you may receive additional inquiries. Using a landing page template may help you close more deals than you’re currently closing. It’s a bit of a process to set up, but once you get going it’s fairly easy. You may forego some revenue, but it’s a short term cost for hopefully a greater gain. Andrew Rosener, founder of MediaOptions.com, is another classic example of someone who just happened to stumble into the domain industry. He had purchased a few domains of personal interest in the late 90’s, but it wasn’t until 2005 that he really saw the potential of domain names when he was contacted by an importer of specialty ham from Spain in order to buy several domain names he owned. After completing that deal he immediately started looking at the domain market and trying to figure out where he could make more money. Despite his late start, Andrew’s rise in the domain industry has been pretty remarkable, and you’ve likely noticed some of his sales at the top of the DNJournal sales charts. For instance, HX.com was the top publicly reported sale last week, and the prior week AutoInsurance.org took the top spot. Andrew is now an active domain investor himself, but his primary business is in premium domain brokerage as well as operating one of the most popular domain investment newsletters in the business. If you haven’t signed up for it yet, I recommend you do so when you get finished reading this interview. I’ve gotten to know Andrew over the last year, and I am always impressed by his knowledge of the domain industry and other interesting things. ES: What’s the most frustrating aspect of your job and how do you cope? AR: The most frustrating part of my job is the administrative work that is required in managing my newsletter and responding to hundreds of inquiries a day from domain owners who would like to submit their domains for our newsletter or brokerage service. I’m averaging around 500 emails per day at this point and it has become nearly impossible to respond to all of them, although, I try very hard to. The way I cope with this is my wife! Seriously, she has basically taken over the domain newsletter for us and since then it has grown tremendously. ES: How has the domain business changed in just the last few years and what is your company doing to adapt? AR: I think the most profound change that I see in the domain industry over the last few years is the type of names which are most desirable. While many people were shrugging off .net & .org domains as being of no value, I continued to invest in and broker some of the top Lead Generation keyword domains in those extensions. I picked up hundreds of premium one & two word domains which have rapidly increased in value recently. As the SEO space and Domaining has quickly merged, you are seeing a lot of domainer/developers come into the space with deep pockets, willing to invest whatever it takes to get the exact match keywords they need for their verticals. ES: What advice would you give to someone just starting out on how to build their domain portfolio? ES: How does selling a domain name to a large corporation differ from selling a domain name to a domain investor? What tips can you offer domain investors who want to sell to end users? AR: Selling to End Users is tough. Plain and simple. It requires a lot of time and you need to educate most of them on exactly how the domain will benefit their business and justify the asking price using real metrics which they understand. In my experience, to sell a mid 5 figure domain or 6 figure domain to an end user, it requires weeks or even months of discussion. Obviously, if you want to sell good names for $1,000 – $5,000 to small or medium sized businesses that can be accomplished through emails and persistence. But larger sales I would recommend you use an experienced broker, perhaps even find one who has made sales in the same industry as your domain falls. ES: What trends are you noticing in the domain business, and how do you recommend that domain investors capitalize? AR: I’ve never been one to follow trends. For better or worse. I have always tried to stick with what has ALWAYS worked. For me, that means domains which have clear purpose and meaning and fit within the metrics I use for valuing domain names. Or domains which I feel will have staying power no matter what changes Google makes in its search algorithm, such as 2, 3 & some 4 letter domains. But if you want to talk about trends, then I would look to Michael Berkens’ & Frank Schilling’s blog posts where they update us daily, weekly or monthly with the offers they have received on their domains. I think this is a great indicator of trends. I’m seeing a clear trend towards short brandable domains. Names that make sense for a new startup and are easy to pronounce, spell and pass the “radio test”. My problem with buying those types of domains, is that unless I can get them for a few hundred dollars, I just don’t know how to justify the prices, they are totally ambiguous. But those guys just have a great eye for these types of names! ES: Speaking of Domain Values, is there a specific way that you valuate domains? AR: I get asked this question all the time by people when I have to respond to them that I am either not interested in listing their domain in my newsletter, or I’m not interested in listing it because of their asking price. The answer is YES, I have a very specific way in which I judge the value of a domain. Unfortunately, it would require a novel to describe it all, but here is the gist of it. I like, and I’ve found I’m most successful in selling, domains which have high exact match keyword search volume according to Google Adwords Keyword Tool. My valuation is directly related to the number of searches the keywords in the domain gets. High search, high value. Then I take into account the CPC or Lead Value. Let’s say the standard CPC is $1 for example. If the keyword CPC is less than that, then I devalue the domain a bit. If the CPC is significanlty higher, then I increase it’s value using a factor which I won’t disclose. I also take into account the length of the domain and of course the extension. Unlike most people, I feel that .org has the second highest valuation after .com. I’m a big fan of .org domains (good ones) and I’ve put my money where my mouth is by investing in them. If the name is specifically for ecommerce, then yes, I prefer .net. But even then, i still don’t mind a .org. There are a lot of people who have very different valuation methods than mine, and certainly I don’t claim to be the best by any stretch of the imagination. But what I will say is that if a seller is willing to sell a domain within the range I set using my metrics, more times than not, we sell that domain. Reason being that my metrics are justifiable. They are not ambiguous or based on “What is that domain worth to me”. The same applies on the buy side. If I purchase a domain at a price which falls in the lower end of my value range based on my metrics, I have almost always been able to sell that domain at a profit with very little effort.